Hey there everyone! My site was down for a few days, but now we are back up and running, so I can share with you my latest project that came out on Monday! 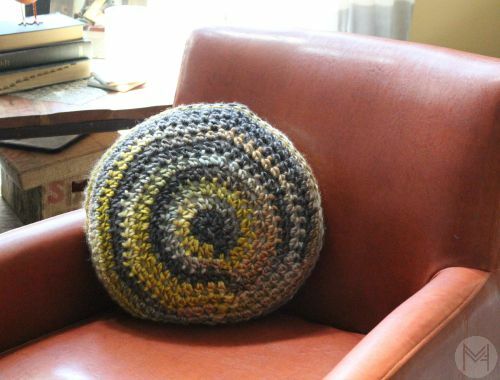 I shared how to make this pillow! 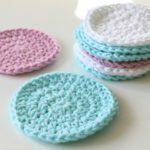 It’s a super easy project, beginner friendly and I go through all the steps for you on video. 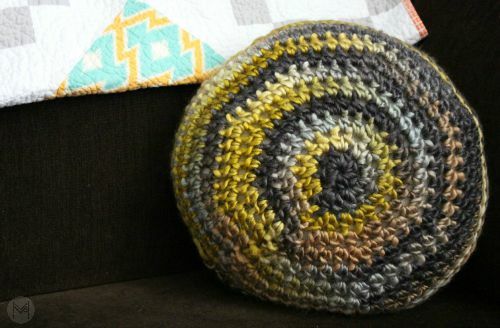 I also show you how you can modify this pattern for any type of yarn, thick or thin. I used a size 5 yarn and a P hook. 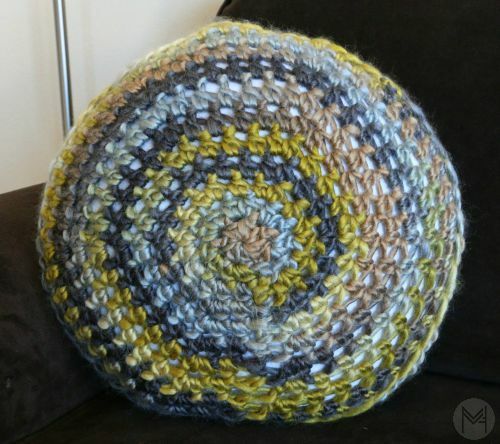 I recommend a self striping/ variegated yarn choice for this project since the stitch is simple. Continue in this manner until the circle meets the required size for your pillow form. EACH yarn choice and hook size will obtain a slightly different result, the remaining instructions are the same. What do you think of this project? I think it would make a great Sunday afternoon fall project! Here is the full video tutorial, and Happy Stitching! 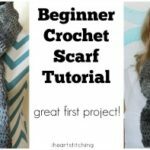 Just watched your utube video for beginner crocheter’s. Loved it ! 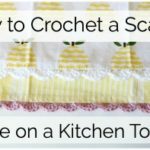 I am a new crocheter & am having problems with tension & splitting my yarn etc. I really needed the “encouragement” your video provided. Thanks again !